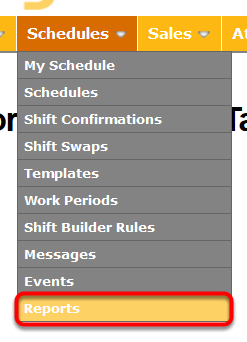 In some cases, it’s important to export and save schedules from TimeForge into Excel for backup. Note: These steps will work for any TimeForge report. Go to your Schedule Reports. Identify the report to run. Click the appropriate report to be taken to a page with customization options. Choose a schedule and file format, and run the report. 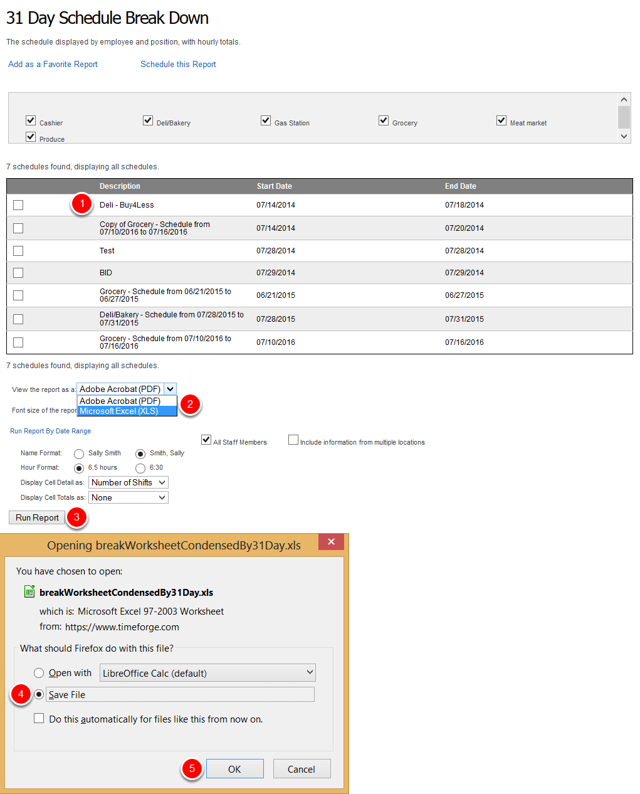 Specify which schedule(s) you would like to export to Excel. Choose “Microsoft Excel (XLS)” from the “View the report as a:” drop-down menu. Choose “Save File” in the window that pops up. Note: Your “Open with” drop-down menu will probably say “Microsoft Excel”.